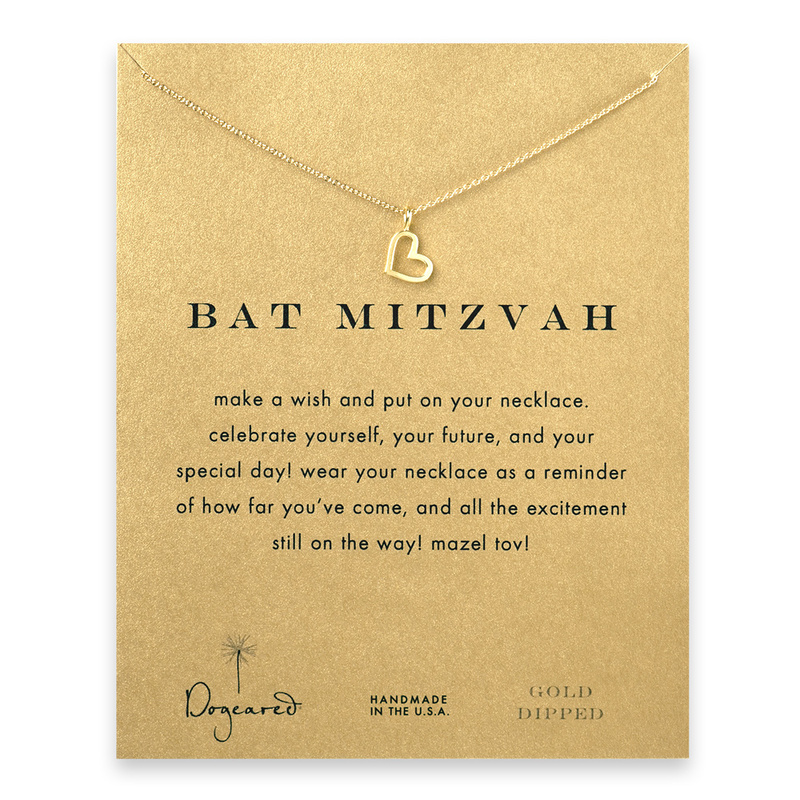 Dogeared Bat Mitzvah Necklace in Gold. Card Message: Make a wish and put on your necklace. Celebrate yourself, your future, and your special day! Wear your necklace as a reminder of how far you've come and all the excitement still on the way! Mazel Tov! Gold Dipped. 18"